Audrey turned eight last month and decided to have a mermaid party. Evan didn’t want a themed party this year, but since his party was the same day, we decided to add a pirate theme into the party as well. I had so much fun putting this party together, and I’ve got a lot of free printables and Silhouette cut files for you to use. 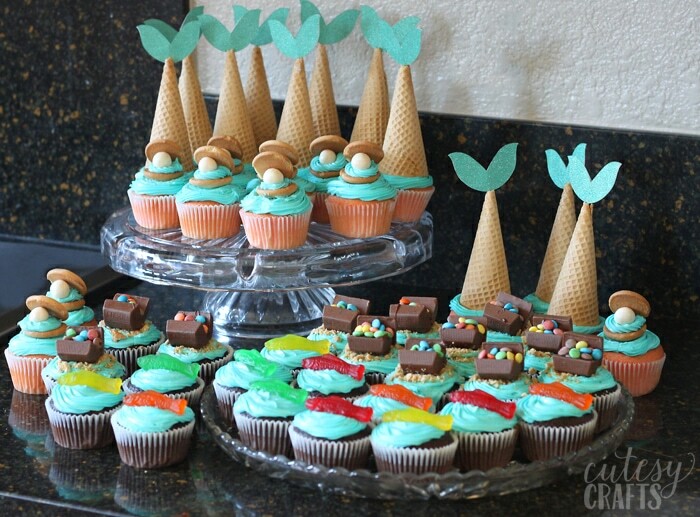 Hope you enjoy all of these mermaid party ideas. Make sure you also check out these 40+ adorable mermaid crafts! 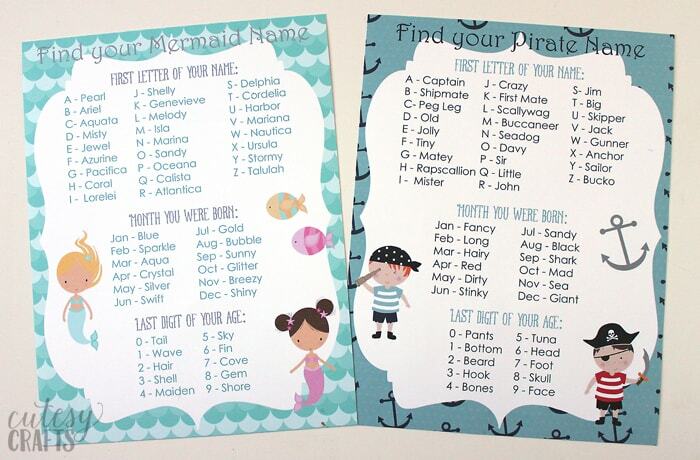 When our guests first arrived at the party, they were instructed to fill out a name tag with their mermaid or pirate name. Get the free printables and more details here. After getting their name, the kids put on their mermaid crown or pirate hats. 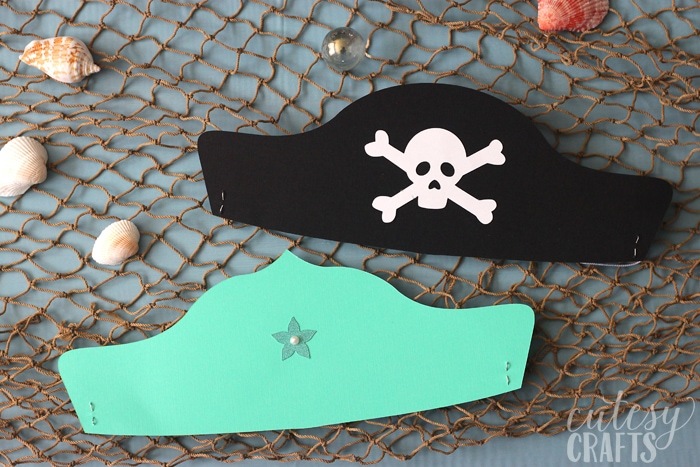 Get the free printables or Silhouette cut files here. I had some leftover decorations from a nautical baby shower that I threw, so I used those to decorate the table. It’s just a net with shells and glass balls on it. You can get these things at the craft store. 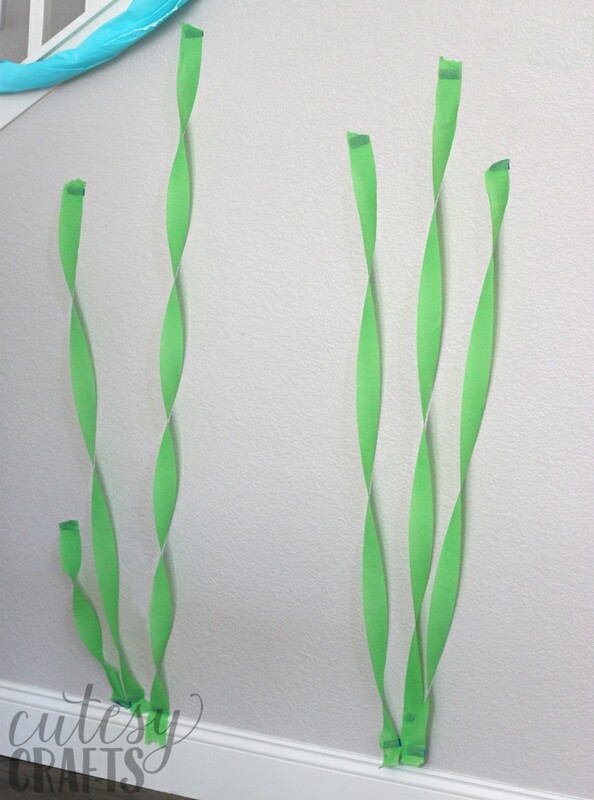 I used green streamers to create “seaweed” on the walls. 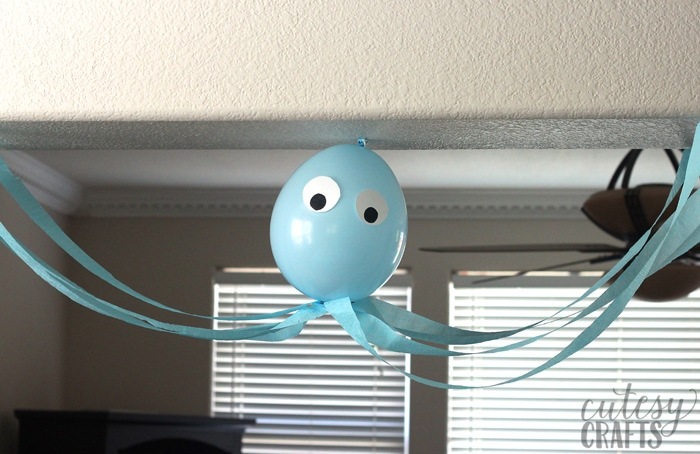 I saw this idea for an octopus out of a balloon and streamers. Not sure where the original idea came from, but it was really easy to make. Just pin a balloon to the ceiling and tape some paper eyes and streamer legs to it. 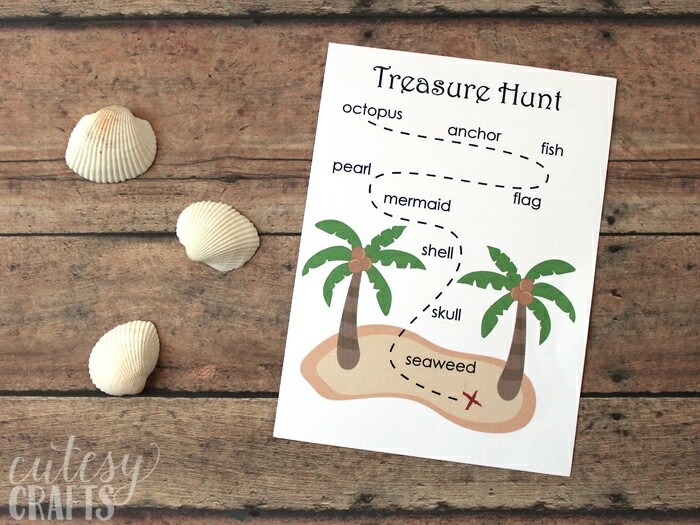 We went on a treasure hunt that the kids loved! 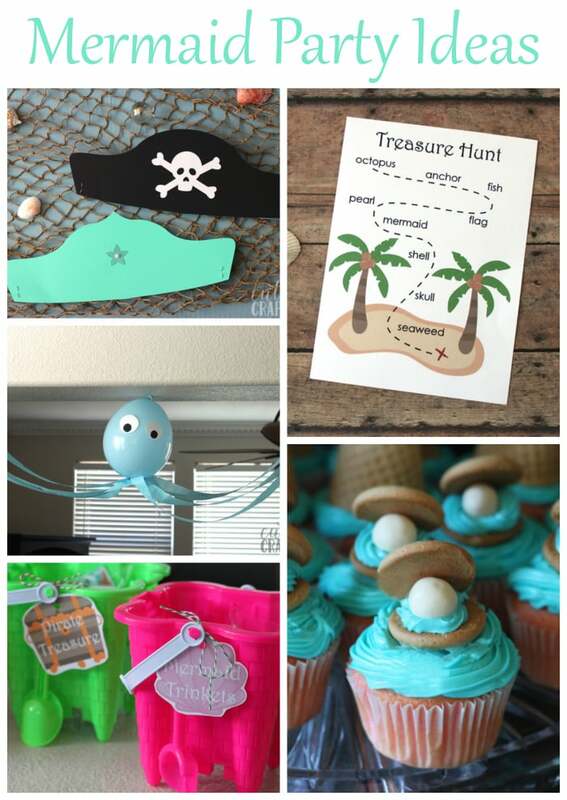 Go here to get the printable maps and instructions for this mermaid or pirate party game. I made lots of really fun pirate and mermaid cupcakes that you can read more about here. Each of the kids went home with a bucket filled with little trinkets. Get these printable tags here. That’s it. 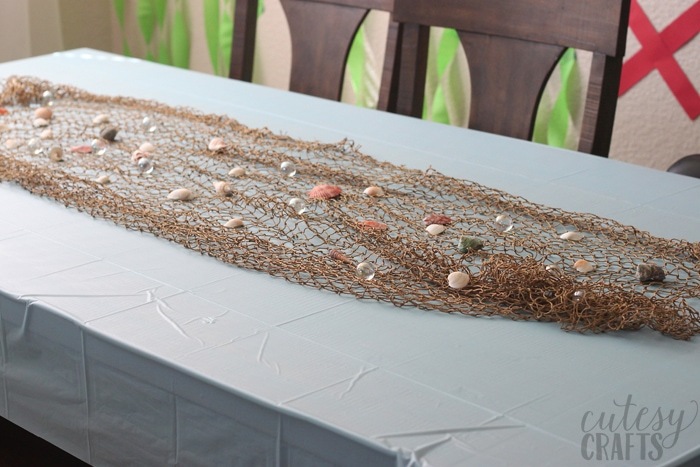 Hope you like all of our mermaid party ideas! The kids had a blast, and Audrey loved all of the little details. 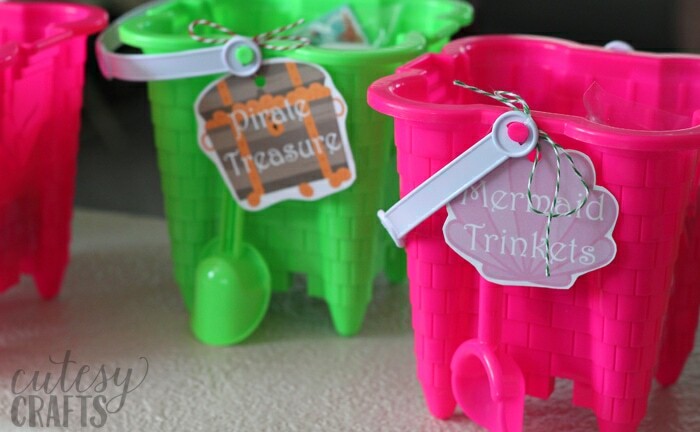 For more kids party ideas, click here.